For term one I decided to read The Graveyard Book. I choose this book because I wanted to read it in 2nd grade but my Mom wouldn’t let me. I can read it now and decided that it would be a good way to start the year. I was attracted to it because my brother recommended it to me we like the same kind of books in general and he said that he liked it. I found it were I left it five years ago, on the mantle. My author’s name is Neil Gaiman. In my research I found that Neil Gaiman is a voice actor and a British screenwriter. He writes Dark Fantasy and horror. He has been married twice to Mary Mcgrath and Amanda Palmer. He was born on November 11,1960, and is currently 56. He was born is England. He has 2 daughters and 2 sons. I can guess that he is going to have something about death and it more than likely is going to be sad. .Here is a link to his website. My book’s intended audience is 10 and up. On the book it states 10+. 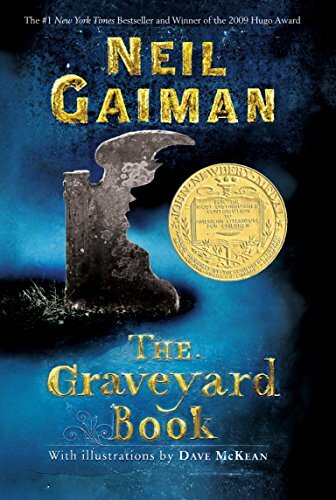 In the web page I looked at stated that The Graveyard Book was written for 5th to 8th graders. My book starts out by telling the audience about a killer. That tells me that the audience needs to be mature enough for that type of book. I know from reading the book that bod the main charter’s age changes a lot. But I know from reading it that he will probable end up at around my age in the end. My book is 325 pages long.